Julie and I have been pretty active in the last few years on Wetpixel, one of the best underwater photography sites. We are both staff members now, and help out where we can in running the site. Eric Cheng, the founder of Wetpixel has recently started a magazine called “Wetpixel Quarterly. The second issue remembers the amazing photography of the legendary Jim Watt, who passed away way too early. It also contains portfolio’s of most of wetpixel staff members, including Julie and myself. We’re obviously very proud to be in such a quality publication. If you’re interested in a subscription visit the Wetpixel Quarterly website. 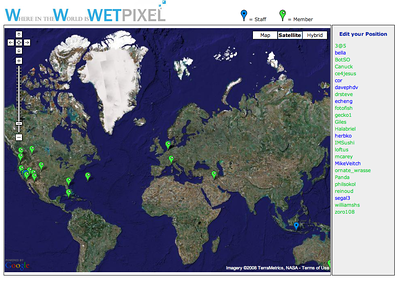 We just finished up the Wetpixel trip to the Solomon Islands. It was a really nice trip with a great group of people. We had some beginning shooters, but most people were pretty advanced photographers. We all had a blast, and not a day went by without some small prank, joke, or otherwise hilarious event. For more about the trip check out our tripreport. All content copyright Cor Bosman/Julie Edwards | Page loaded in 0.724 seconds.